You can help the next generation of girls fulfill their dreams and change the world by finding cookies near you now. With every box of Girl Scout Cookies you buy this year, you help support tomorrow's courage-boosting, confidence-inspiring, character-building, make-the-world-a-better-place experiences. 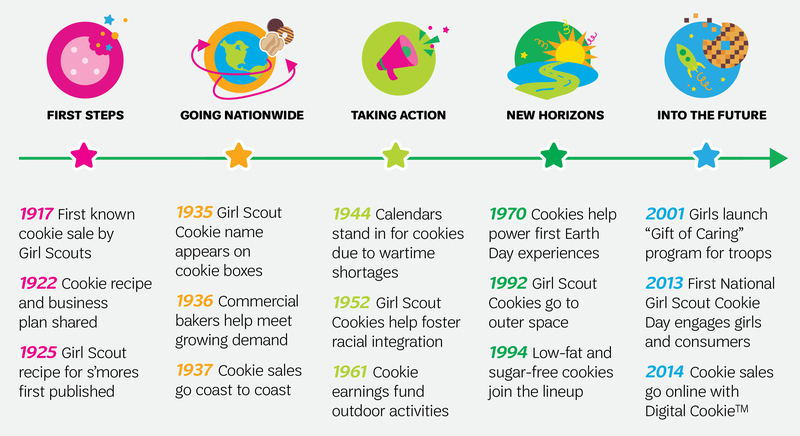 Learn more about Girl Scout Cookie history.